To say that Steampunk World’s Fair went off without a hitch would be wildly inaccurate; in fact, the theme of the con this year seemed to be things going wrong. Due to staff changes and disagreements before the con even started, there were already problems brewing regarding overflow hotels. Then once things kicked off, it proceeded to go from bad to worse. The hotel, which had recently changed ownership, didn’t fill out the proper forms for the Fire Department, and as a result, room vending was shut down almost immediately, leaving a large contingent of extremely angry vendors, some of whom I heard grumbling about filing legal action. And then, of course, there was the tornado warning that relocated the outdoor programming to the already-crowded inside. But then a curious thing happened, something that I absolutely hadn’t been expecting: people made the best of the situation. Vendors got moved into ballrooms, programming got shifted around and just generally speaking, people made do with what they had. My understanding is that the vendors still did pretty poorly due to the disorganization, but even so, everyone that I saw over the course of the weekend seemed to be enjoying themselves. 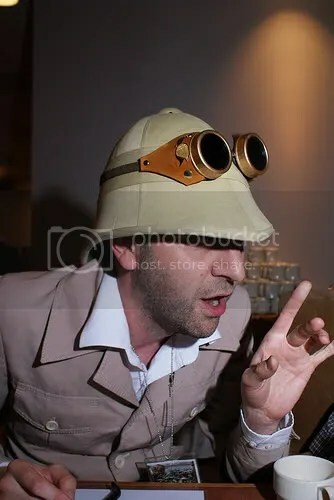 It’s a testament to the maturity and tenacity of the Steampunk crowd that instead of throwing hissy fits because things weren’t going their way, people just sort of rolled with the punches and had a good time in spite of it. It was a good litmus test for the mettle of the community at large, and I was pretty pleased by what I saw. A smoking gun, created by one of the attendees. Image courtesy of Michael Salerno. Due to all of these problems, I’m not sure if the con will be happening again next year. I’ve heard conflicting reports on that front from various staffers, though it’s likely that even those in charge don’t know the full extent of the damage yet. It will be a shame if it doesn’t happen again, because I had a pretty good time. So, problems aside, how was Steampunk World’s Fair? Well, it was fine. There wasn’t anything that really set it apart from the other Steampunk cons out there except for the attending crowd. I’ve found the Northeastern Steampunks to be really awesome for the most part, and there were just a ton of great people in attendance. There were also more bands and musical performances than you could shake a rather large stick at. Emperor Norton’s Stationary Marching Band seemed to be performing almost constantly, which I greatly enjoyed, and while I missed Professor Elemental’s shows, I did have a chance to chat with him in the bar and he was hilarious. Professor Elemental serenades guests at his Mad Tea Party. Image courtesy of Michael Salerno. All of the panels that I attended were interesting and well-run, which isn’t always the case. There was a particularly good panel on race and gender on Sunday, with a lot of good points made by both the panelists and the attendees. In fact, all of the panels I attended had great audience participation, and I really appreciated how willing the attendees were to engage with the subject matter of whatever panel they were attending. It was a strange con in terms of costuming. I didn’t see the number of gadgets that I expected to see, which was interesting to me. 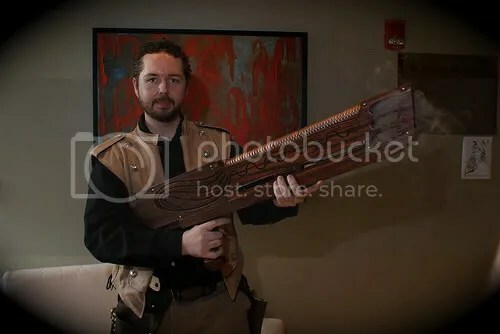 There were certainly people in attendance with big rifles and wings and whatnot, but while at some cons it seems as though every person is carrying a big prop of some sort, at SPWF this year it felt as though the props came second to the outfits. Far more often, people were just wearing Steampunk-y clothing and forgoing the props entirely. I’d like to see if this trend continues at the next several cons that I attend, because if it does, that may say something about the community at large. However, with just this one experience, I have to write it off for the moment as either an anomaly, or that I may have just overlooked them. Power pack that an attendee wore. Image courtesy of Michael Salerno. As far as multiculturalism went, I didn’t really see a whole lot of costuming outside of the lovely Monique Poirier, the intrepid Ay-leen and the ferocious Jaymee Goh, who all represented their respective cultures at one point or another over the weekend. However, on the social justice front, there was an unofficial event run by Miriam Rosenburg Rocek: a Steampunk pro-labor flashmob demonstration. Ms. Rocek was dressed up as Steampunk Emma Goldman, and the attendees got together and supported Victorian-era labor causes. Class-based struggles are frequently ignored in Steampunk in favor of race and gender, but regardless of your race or gender, life was pretty rough if you were working class, especially for children. I greatly enjoyed seeing people come together to represent that often-ignored part of history in a fun way, especially in light of the recent labor issues in Wisconsin. While on the subject of social justice, I’d like to bring up another thing that has impressed me about a number of conventions of late. Every Steampunk con that I’ve been to in the last year has had at least one fundraising event for charity. From human trafficking to education to cancer, each con has had different priorities in their charity choice, but let me say this: nothing makes me more proud to be a Steampunk than being part of a community that gives back to the world. It’s a welcome change from attending anime conventions where the attendees can hardly scrape together enough money to buy themselves a box of pocky, much less donate to a worthy cause. I had the opportunity to participate in charity work at Steampunk World’s Fair this year, and it was great. Amber Dionne organized a silent auction to benefit the Leukemia and Lymphoma Society, and actually shaved her head at the con in support of those with blood cancers. Since I’m a survivor of lymphoma, I offered to MC the event and had a great time being obnoxious for charity. Thanks to the wonderful people who happened to be in the lobby while it was going on, we raised over $600, which is a great amount for what we were auctioning. One generous woman even bid far more than her item was worth, then came and gave me a hug afterward for what I’d gone through. It’s people like her, whose hearts go out to strangers, that make me proud of all of us, and remind me that we’re not just an aesthetic or a genre, but a community. 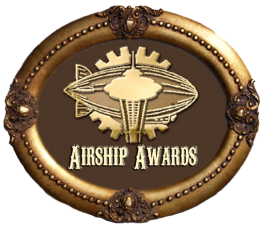 So please, if there’s a Steampunk event in your area, go to it. Open a dialogue between yourself and the world at large. Get involved. The Steampunk World’s Fair, despite its problems, was a fun con and if it happens again next year and you’re in the area, I recommend that you go. 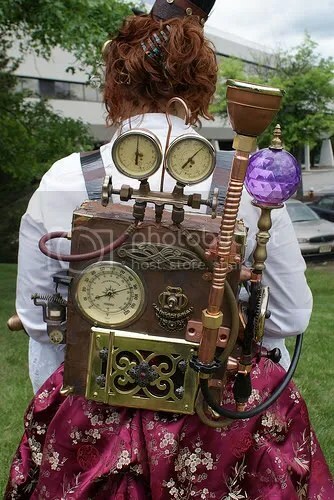 But if that’s not your area, find a Steampunk con near you and go to it. You’ll be doing yourself a favor. 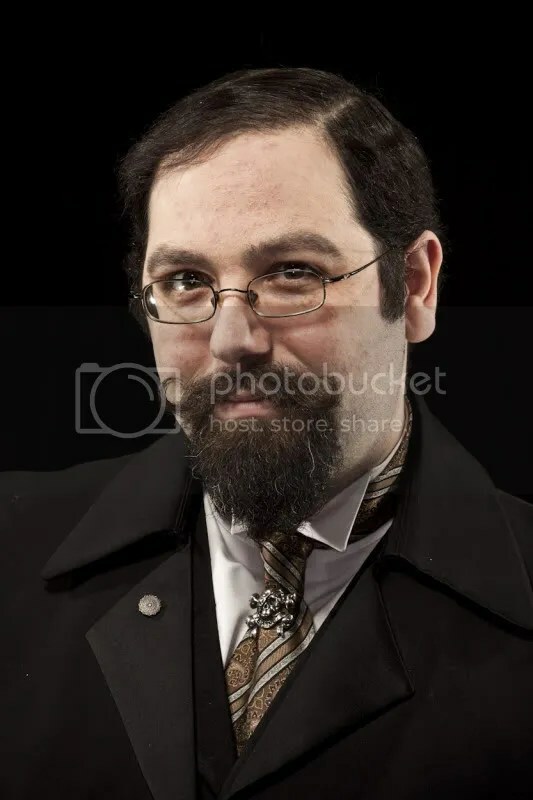 Michael Salerno is an exhausted Father of Triplets, Steampunk, Homebrewer, BBQ enthusiast, avid reader, chief cook and bottle washer….He is also an avid tinkerer and photographer. You can check out his photos on Flickr.